Since starting Keto back in May of this year, I’ve learned that I can take a few easy steps each week that help us stay on track. 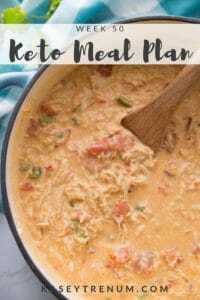 As a busy mom of 4, if I am not intentional to make a Keto/Low Carb meal plan for us, then it is so easy to fall off the wagon. At the same time, this is such an easy way of eating to maintain if I plan. I see so many elaborate meals with crazy ingredients online. We stick to family-friendly and simple. Otherwise, I would get overwhelmed and quit because my plate of life is already very full. I hope that this list is helpful and simplifies meal planning for you. If you are looking to start a Keto/Low Carb eating plan, check out Butter Bob or Healthful Pursuit on YouTube. Each week I very loosely meal plan our dinners for the week. 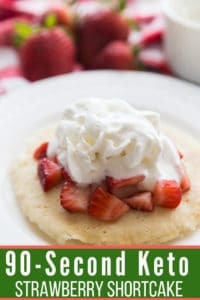 I typically peruse Pinterest and search Keto/Low Carb recipes that look like they will appeal to my entire family. As a mom of four, meals have to be easy and family friendly. 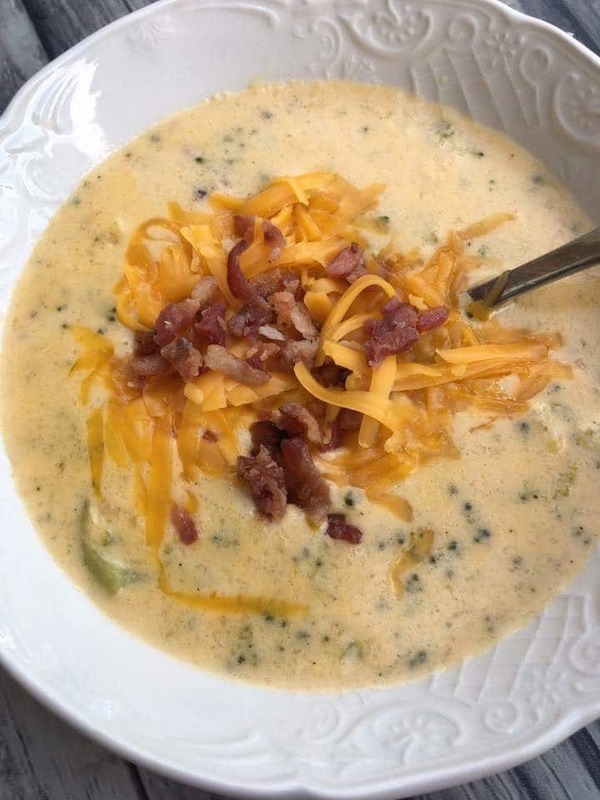 Although my kids aren’t keto per say, they still eat what I cook. Once I make my meal plan, I make a grocery list to coincide with what I will be eating that week. To simplify further, I do a significant amount of my grocery shopping online. So you can get an idea of what a weekly menu looks like, I have included a sample weekly meal plan at the bottom of this post with links to recipes. I typically only eat breakfast one or two days and week, and even then I keep it simple. Since I don’t eat breakfast every day, I don’t get tired of breakfast foods. However, I do see lots of comments in Keto groups from people looking for breakfast ideas besides bacon and eggs. If this is you, check out this list of easy breakfast ideas. When planning our meals, I also take into consideration that I will be preparing extra so that there will be enough for leftovers. I homeschool my kids, which means that we eat most meals at home every day with the exception of a couple of meals out. So, in addition to leftovers from dinner, I often make a big pot of soup at the beginning of the week so that we have some variety. 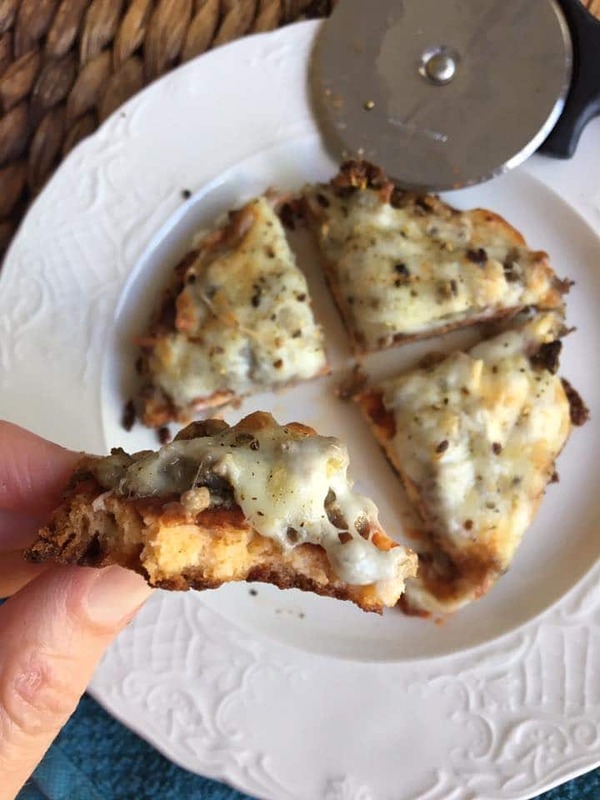 You can find an extensive list ofKeto/Low Carb recipes here. 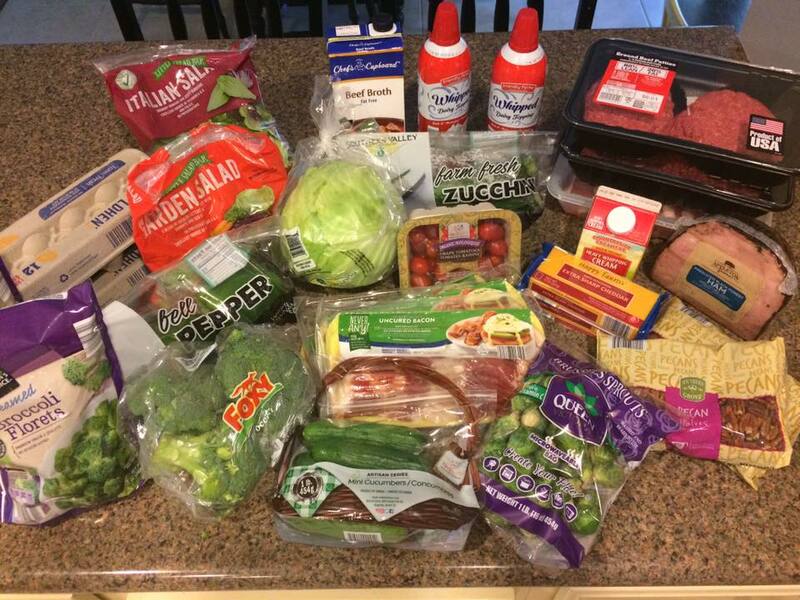 If you are looking to find ways to save money on your grocery budget here are 10 Easy Ways to Eat Keto on a Budget. 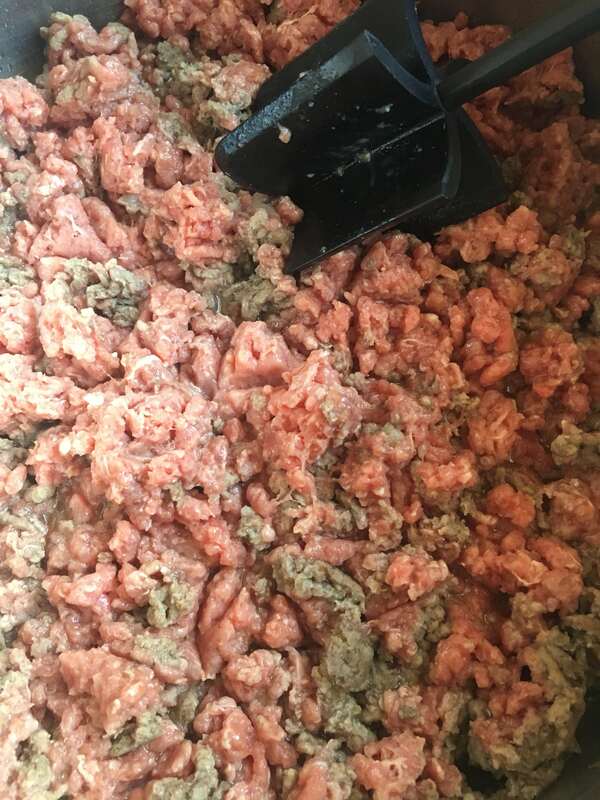 I had mentioned that I keep ground beef already browned in the freezer on facebook recently, and I couldn’t believe how many people commented thanking me for the tip. I always always always have ground beef browned in the freezer. That way if my day goes sideways I can grab a bag of ground beef already browned in the freezer and have dinner ready in a snap. It’s so easy to do. I buy several pounds at a time and cook all of it at once in a tall stockpot on low. I set my timer for 20 minutes then when the timer goes off, I stir the ground beef with my ground beef chopper tool, and reset the timer for 20 minutes. I do this every 20 minutes for about an hour or until the ground beef is cooked through. Once it is browned, I divide the ground beef into freezer safe Ziploc bags and store in the freezer. I don’t know how I hadn’t heard of it before, but I recently discovered the ground beef chopper tool. It makes browning and chopping ground beef into smaller pieces so easy. It is hands down one of my very favorite kitchen tools that I use every single week. It works for breakfast sausage crumbles too. 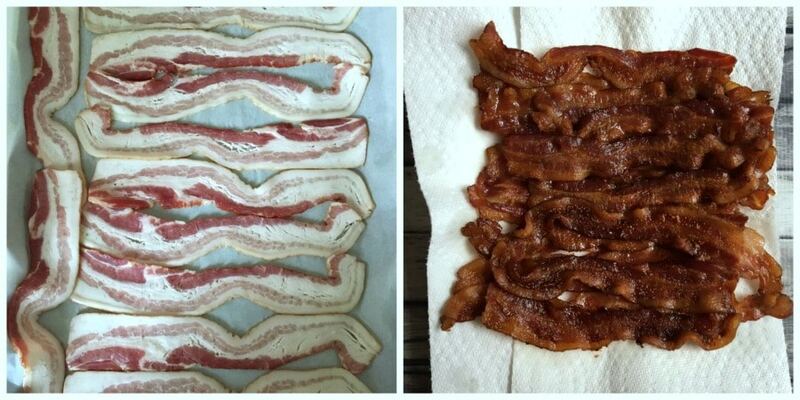 If you go through bacon as we do, then you know how much easier it is to cook several pounds at once. 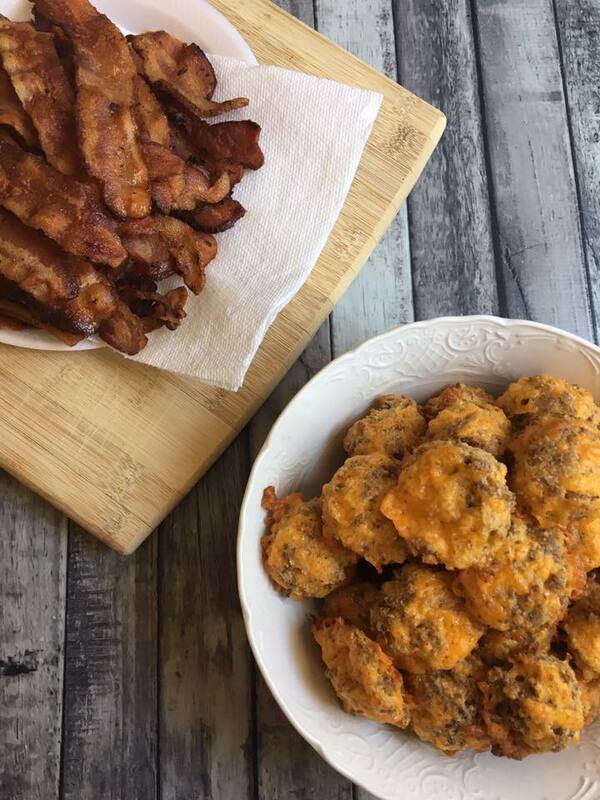 There are many different ways to prepare bacon, but my personal favorite is to bake it on a cookie sheet covered with parchment paper. It bakes very nicely and without me needing to tend to it, which is helpful when you are busy. The cookie sheet doesn’t get greasy and clean up is easy. I’m kind of lazy like that. It is easy to buy fresh produce with great intentions only for it to go bad in the fridge. I can’t tell you how many times I have stared at fresh broccoli or green peppers after a long day and closed the fridge because having to wash them just felt like too much. Now, as soon as we get home from the grocery store, I wash all my produce at once. I fill my sink with water and vinegar and soak the produce for a few minutes. I would say four parts water to one part vinegar, but I don’t measure. After washing, I rinse and lay the produce out to dry on a large towel on my counter. Afterwards, I take into consideration what I plan on cooking that week and go ahead and prep the veggies in advance. For example, if I were making Chicken Lombardy, I would chop the mushrooms and onions then store together in a container in the fridge. Then, when it is time to prepare the meal, the veggies are already ready and I save a tremendous amount of time. Or, if I want to make Broccoli Soup for lunch one day, all of the broccoli is already chopped, washed, and ready to be added to the soup. 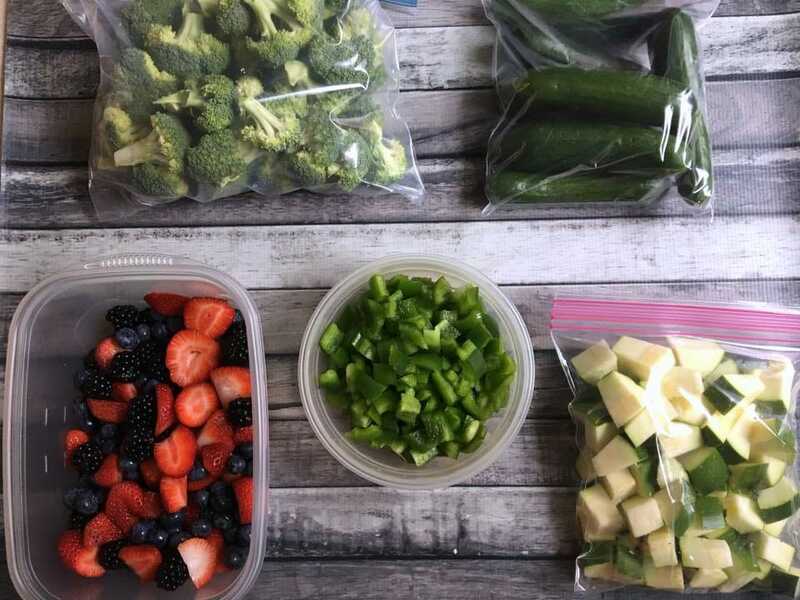 I store fresh produce in individual containers or Ziploc bags for easy access. I also chop veggies for my kids and place it in a big dish for them. When I do this, they snack on veggies such as celery, green peppers, carrots, or broccoli between meals instead of always reaching for crackers (they aren’t 100% keto or low carb). At the end of the week, my goal is to use up all of the produce in my fridge. Typically on Friday, I will check what I have left and perhaps throw several veggies together for a delicious side dish of roasted veggies. In doing so, I stay budget conscious and it helps us to save money on our groceries. One thing for sure is I am not the Keto police. I have learned that, for me, I have to keep life simple and choose my battles. I don’t freak out about a packet of ranch seasoning used sparingly here and there, or certain artificial sweeteners that the keto police would say are bad. It’s just not a big deal to me, and I have had excellent results. My best advice is – you do you. Don’t worry about what others do. Make the best decision that will help you stick to this healthy way of life long term. You have to figure out what works best for your body. In fact, what stalls one person may not another. Most all of us have busy lives, and finding ways to eat healthy without causing undue stress is key to long-term success. 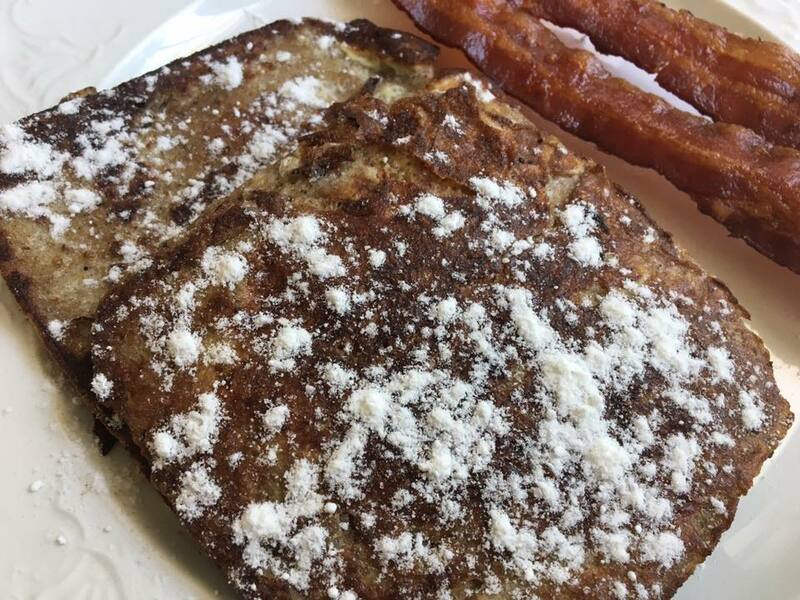 Breakfast – We get out of church late on Sundays, so we eat a super simple breakfast of just bacon for breakfast. The kids may eat waffles or oatmeal, but the hubs and I generally just eat bacon on the way out the door. Thanks for sharing your experience and good sense! This has been very helpful for me to get started Ketoing! Sure! So glad it was helpful. 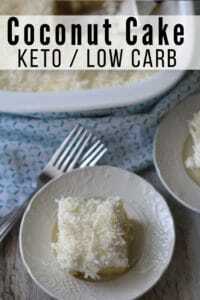 Thanx for the great tips to make Keto sound easy to follow. My kiddos are grown but for over 12 years we were a homeschool family. These tips would have been golden back then but I still find your article too be very helpful. Especially the part about freezing pre-made ground beef & bacon! Also planning a purpose and preparing veggies ahead of time. Thank you so much for taking the time comment. This is our 10th year homeschooling. I love that these tips were still helpful to you even though your kids are grown. Blessings to you! 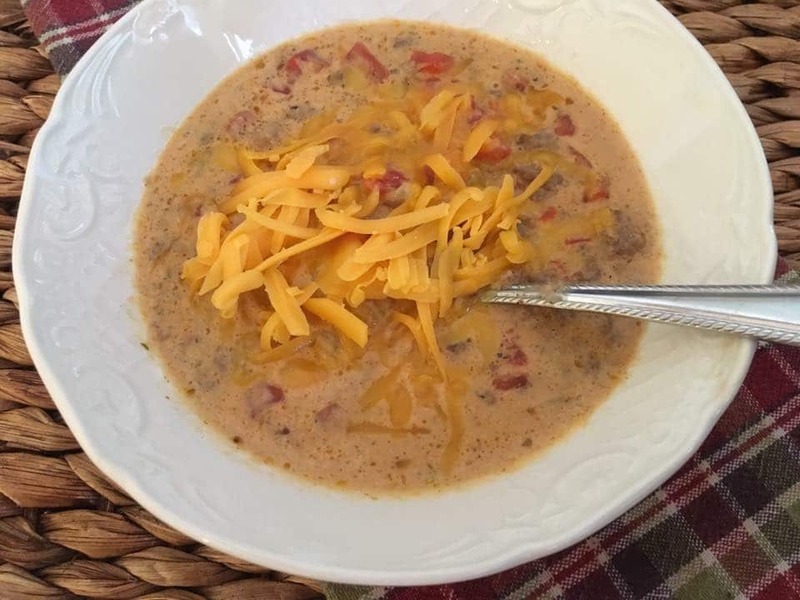 Thank you for sharing recipes and your experience. 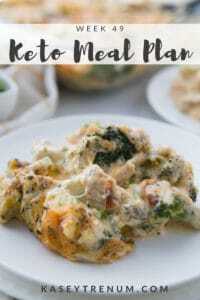 I had tried keto before but felt a little overwhelmed as what to eat especially sone of the recipes I had seen on line had things my family would not eat. I am starting my new year on Keto. I do have a question I see where a lot of people take magnesium . Do you also take supplements? Hope things are going well since starting. I do take supplements. When you cook bacon in bulk how do you store it? Wanting to start Keto eating soon. Thanks for all the recipes. In a zip lock bag in the fridge. 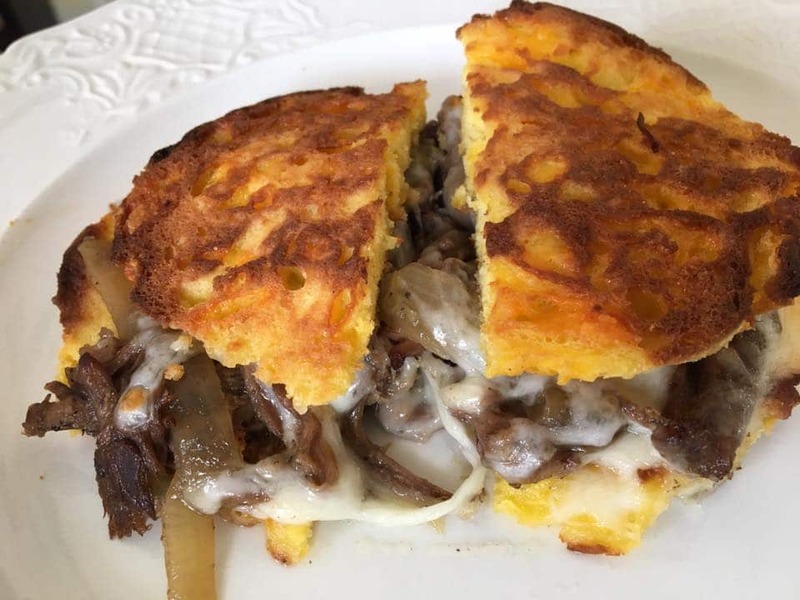 My husband and I have tried the Keto diet and had the “Keto flu”. How do we avoid that? Also, I am allergic to artificial sweeteners, so which sweetener on the shopping list is best for me? I would suggest that research is your best friend so that you can be your best health advocate. 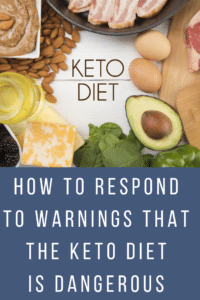 You’ll find many solutions to the keto flu on Pinterest Since you are allergic to artificial sweeteners I don’t know what to suggest as I don’t want to make a suggestion and it cause an allergic response.